A Canadian investor is seeking more than $20 million for a 304-unit Englewood rental complex, hoping to attract buyers interested in properties within an Opportunity Zone. 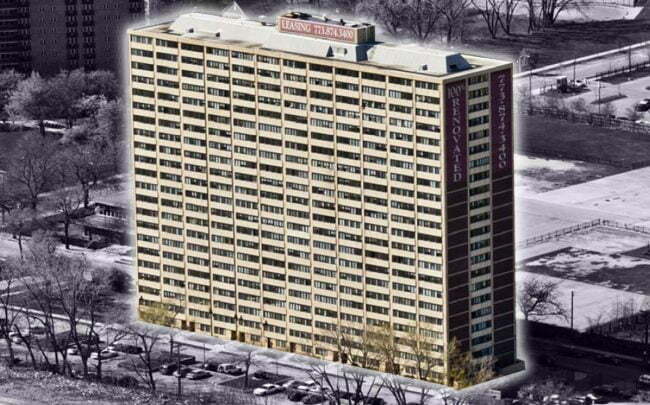 The building owner, named in property records as Five Star LLC, listed the New Englewood Terrace Apartments, a 23-story complex at 6425 South Lowe Avenue, for $20.8 million, according to the Kiser Group, which is marketing the building. Built in 1967 and renovated in 2010, the complex is being marketed as a “value add” opportunity, meaning the building’s revenue could be increased through improvements made to the complex. The complex has 60 one-bedroom units, 124 two-bedrooms, 80 three-bedrooms and 17 two-bedroom townhomes. Rents range from $625 to $1,050 a month, according to the Kiser Group. Five Star LLC bought the building in March 2013 for $4.6 million, Cook County records show. The complex sits within an Opportunity Zone, the new federal program that lets investors defer taxes on acquisitions and investments made in certain low-income areas. Given the nascent federal program’s popularity with some investors, interest in the Englewood property could come from far and wide, said Noah Birk, partner at Kiser Group. “We are anticipating national investor interest, particularly from Opportunity Zone funds,” he said in a statement. The sale could set the market for multifamily sales in local Opportunity Zones. Last month, Draper & Kramer listed its 1,675-unit Prairie Shores complex in Bronzeville, which also is in an Opportunity Zone. The New Englewood Terrace Apartments are down the street from Chicago Neighborhood Initiatives’ and DL3 Realty’s massive commercial development anchored by a Whole Foods. Recently, Ascendance Partners it’s bringing a data center to the development. The complex is also near Robeson High School, which is being redeveloped into an $85 million high school. The Kiser Group’s Aaron Sklar is listing the property with Birk. State records show Five Star LLC is managed by Muhammad Nawaz, who could not be reached for comment Tuesday.